Nobu Matsuhisa has become one of the most talked-about international restaurateurs and arguably the world's greatest sushi chef. 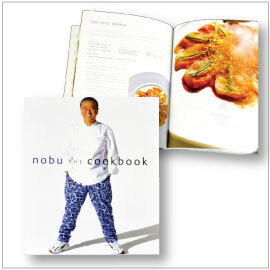 Nobu: The Cookbook, Matsuhisa reveals the secrets of his exciting, cutting-edge Japanese cuisine. 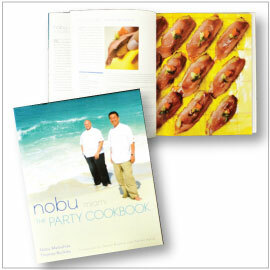 Nobu Miami: The Party Cookbook, a visual treat and a celebration of the dazzlingly original fusion cuisine served in the Miami outpost of Nobu's restaurant empire. 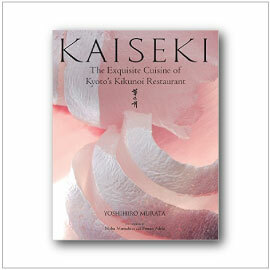 A rare glimpse into Kunio Tokuoka's luxurious "Rimpa-Style Cuisine". 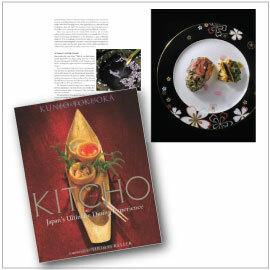 "Eat the Seasons" with Acclaimed chef Yoshihiro Murata of Kikunoi Restaurant. 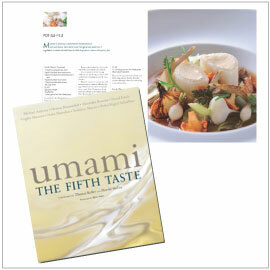 Featuring professional healthy locally sourced recipes from Michelin starred restaurants around the world. Everything you need to know about umami including detailed instructions for making dashi, the umami-rich broth from Japan.